October 3rd is the auspicious festival of Vijay Dashmi signifying the victory of Durga (shakti) over the forces of evil personified in the demon, Mahishasura. It seems the very divine is with us on these retreats. Last year the retreat happened to fall on the significant day of Ganesh Chaturthi. Tea, fruits, and snacks will be available all day. Saturday will be a juice detox. A light dinner of kitchri will be served. Cleanses, yoga & Fitness packages, and Ayurveda treatments will be available at a 15% discount. 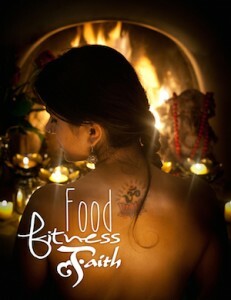 This entry was posted in Events & Retreats and tagged Ayurveda, Retreat, shakti, shiva, Yoga by shibana. Bookmark the permalink.